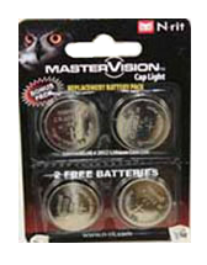 Replacement 4-Pack of batteries for the part # wcw g2 cap light. 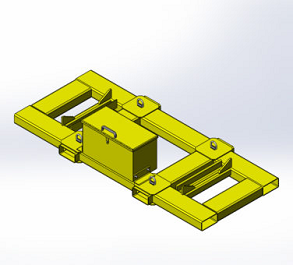 The new 1 1/2″ Brake Shoe Test Block is designed to be placed between the brake shoe and the wheelset when performing freight car air brake tests. The block itself is made from High Strength Delrin plastic that will not crush or break as a result of the test pressures. The handle is made from light-weight alloy aluminum and includes a comfortable rubber handle for the operator. 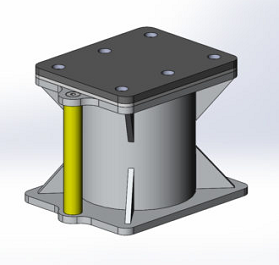 •	Our new 1-1/2″ thick Brake Shoe Test Block is designed to be placed between the brake shoe and the wheelset when performing freight car air brake testing. 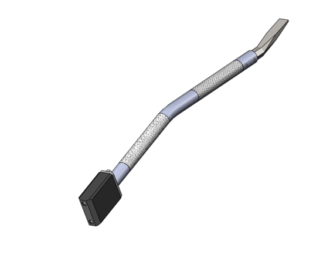 •	This new version of the Test Block includes a pry bar end that is specifically designed to push back brake shoes. •	The block itself is made from High Strength Delrin plastic that will not crush or break as a result of the test pressures. •	The handle is made from light-weight alloy aluminum and is knurled to provide a slip-resistant grip for the operator. Use our new Aluminum 8” Side Sill Stands to support intermodal car sections after they are separated to perform truck or coupler repairs. They are designed for use at facilities with paved floors that are even with the top of the rail. The aluminum construction keeps the weigh of the stand under 26 pounds. The durable heavy-duty rubber top eliminates metal-to-metal contact. 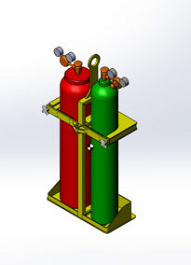 Use our new holder to transport fuel and oxygen bottles used for cutting and welding operations. 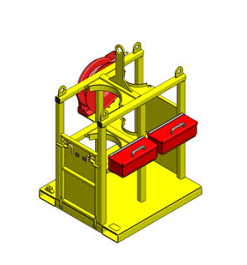 The holder bolts to the bed, and has a lift-off segment for gas bottle replacement using a crane or hoist. The standard holder fits seven and eight inch bottles. 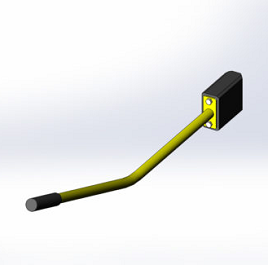 Holders are available for other cylinder sizes. Slips over hitch and ball without having to remove ball. 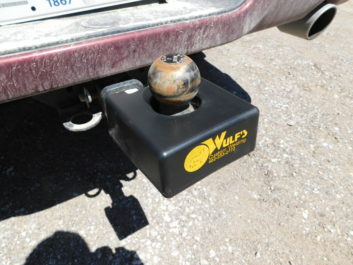 Hitch protector does not need to be removed to hook up to a trailer.